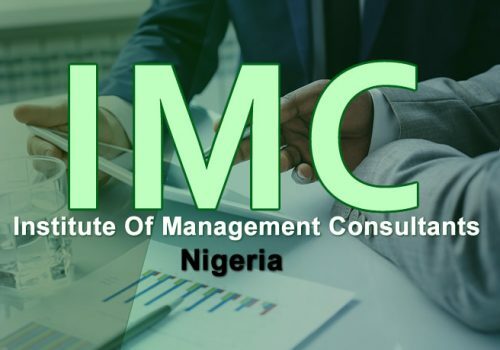 Institute Of Management Consultants – Nigeria was founded to create, maintain and extend high standards of consulting practice in Nigeria and abroad. We bring together those professionals who offer consultancy services in the field of management sciences and related disciplines to improve standards of professional performance, encourage the training and development of Nigerian consultants, provide opportunities for dialogue among practicing consultants, increase the understanding of consultancy’s true role in both business and government, provide opportunities for consultants to improve their technical and consulting skills through specialized training and career development programmes, gain public recognition for the Institute’s certification and to enhance the reputation of management consulting as a profession. To create, maintain and extend high standards of consulting practice in Nigeria and abroad. 1. To bring together those professionals who offer consultancy services in the field of management sciences and related disciplines. 2. To improve standards of professional performance. 3. To encourage the training and development of Nigerian consultants. 4. To provide opportunities for dialogue among practicing consultants. 5. To increase the understanding of consultancy’s true role in both business and government. 6. To provide opportunities for consultants to improve their technical and consulting skills through specialized training and career development programmes. 7. To gain public recognition for the Institute’s certification and to enhance the reputation of management consulting as a profession. 1. Confidentiality: A member will treat client information as confidential and will not take personal advantage of privileged information gathered during an assignment, or enable others to do so. 2 Unrealistic Expectations: A member will refrain from encouraging unrealistic expectations or promising clients that benefits are certain from specific consulting services. 3. Commissions/ Financial Interests: A member will neither accept commissions, remuneration or other benefits from a third party in connection with recommendations to a client without the client’s knowledge and consent nor fail to disclose any financial interest in goods or services, which form part of such recommendations. 4. Assignments: A member will accept only assignments for which the member has skills and knowledge to perform. do you want to be a professional consultant in your industry?